RPGaDay Day #8 asks: Hardcover, softcover, digital? What is your preference? 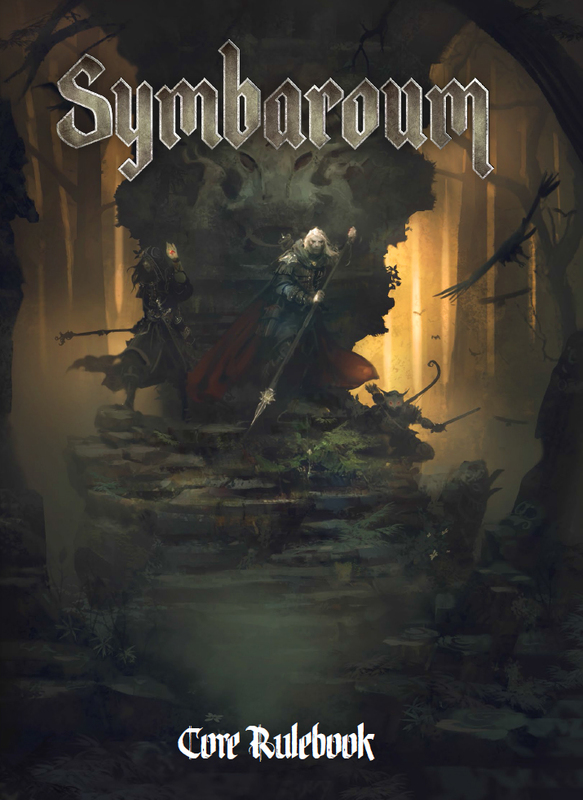 If you look for the most significant impact on my gaming habits this year, you need to look no further than Symbaroum. A beautiful hardcover book filled with glorious illustrations with a dark and brooding cover image. The internal presentation of this book simply caught my imagination and hasn’t let go – resulting in all the content over on The Iron Pact. Every time I look at the book, I find something new. Sometimes, just a word, other times some detailing in an illustration. However, I can’t really handle hardcover books in bed. For bedtime reading, assuming it isn’t a more reasonably sized paperback novel, I opt for digital. The tablet hitting my face might hurt almost as much, but the cover I use has a sort of handle on it… so, it should give me an additional moment to react. Digital games have been a revelation. They make games and game design so accessible. It means I can get on a train and read a game book without any plan because I maintain a reading pile in Google Drive. If I need to reference a rule when I’m writing, the core book will be a few clicks away, as i have most of my current gaming needs in physical and digital format. Sometimes, I go digital first, then physical. Other times, physical leads to a collapse to purchase digital when the game or adventure wins me over. In terms of game design, I wouldn’t have written The Cthulhu Hack without access to a burgeoning indie game design market. With marketplace portals like RPGNow, I can create something and throw it out there. If it’s good, it’ll sell; if not, it’ll sink. So far, The Cthulhu Hack has sold – which has been very gratifying. Softcover only tends to grace my home when I make a purchase from Lulu. Like the digital marketplace, Lulu and other print-on-demand services make game design and game play more accessible. If you have a vanity project, you can get copies made. You might find a great fan produced PDF and make a copy for personal use. Quick, simple, and generally cheap if you want for a decent discount code. Did I just manage to answer this question without actually making a choice? OK – hardcover. For the impact in the last year, with Symbaroum specifically, hardcover every time.